We held a launch party yesterday from 10am to 2pm EDT and had a blast! A total of seventeen friends, family, and avid lesfic readers attended the event, making it a huge success! 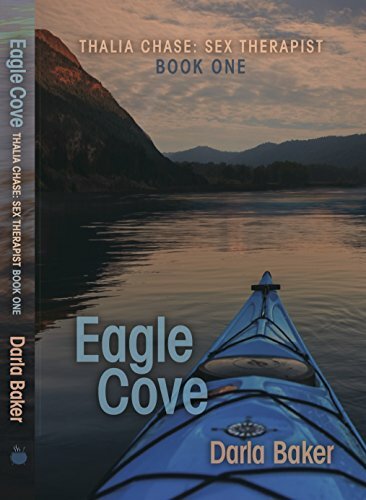 Eagle Cove reached the TOP TEN on the Amazon Best Sellers list for its category at one point during the launch. It's still holding its own in the TOP TWENTY and is currently #7 in the Hot New Releases in lesbian fiction. It's already received 3 FIVE STAR REVIEWS on Amazon from readers. There's nothing better you can do to help an author than to leave a review on Amazon. Thank you to everyone who has worked so hard with me to make this book a success. Trust me, writing is not a solitary venture. It takes a village. Special thanks to Rogena Mitchell-Jones for her expert editing and Ann McMan for the amazing cover. Here's a sample to get you started. Enjoy!